Middlesbrough is a large town in the north-east of England and is located on the South bank of River TeeMidls. In the beginning, Middlesbrough was associated with the making of steel and the construction of bridges, so easily someone can say that the city is famous for this. 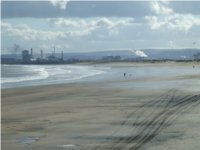 The rapid growth of iron and steel industry in Middlesbrough from the mid's of 1800s helped the population's city to expand from 19,000 to 40,000 only in ten years later. Nowadays Middlesbrough has a population of 150,000 and is undoubtedly the heart of the Teesside and the modern `Capital' of this area. In English history, no other city can be compared to Middlesbrough's rapid growth. That is why Middlesbrough has been described as the `oldest new town' in England. Middlesbrough is a great place to go out for theatre, live music, comedy and dancing. Middlesbrough's Town hall is renowned for comedy and international music arts. Moreover, the Middlesbrough Empire is legendary for top name bands and brilliant club nights. Here you can also try the two newest micro pubs on Baker Street the Twisted lip and Sherlocks for a real taste of local foods and drinks. Middlesbrough can be described as the home of shopping paradise. The town centre has 4 shopping centres, the Mall, Captain cook Square, and Dundas which are all centrally located within a minute's walk of each other. With a wide range of stores and cafes and easy access to a car park for each of these shopping centres, customers can have a break from the daily routine and having a walk into these districts. Here you can visit the Middlesbrough Transporter Bridge. If you are not boring, you can rent a gondola and cross the river that is located under the bridge. The bridge is fully operational most of the days and passengers can cross the river every 15 minutes. It has been calculated that it can carry up to approximately 300 passengers and 200 cars per day. Another place that is worth visiting is the Stewart Park in the Marton area of Middlesbrough. There is a spot in this place where the famous explorer Captain James Cook was born. It has a more continental climate than other parts of the UK, with above average summer temperatures, and below average winter temperatures. Summer temperature usually reach around 20 °C (68 °F), while winter can fall below 0 °C. Middlesbrough has an excellent transport network, which includes buses, trains, cycles and taxis. The public transportation are easy to access, convenient and trusted; that is why most of the residents in Middlesbrough prefer moving through this public system.